Missing is part of an ongoing story, which I aim to turn into a novella – a prequel to Brothers in Arms (Book 3 of the Morgan and Fairchild Series). 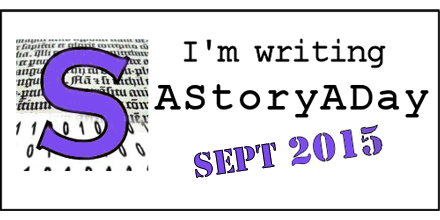 I’m taking part in the StoryADay September 2015 challenge, though, as I’m working on a continued tale, it’s not strictly a story a day. It’s more a story within a story. I’ve given myself a word limit of 600 words. Recap: Justin Chambers, part of the team at Morgan & Fairchild, is approached by a friend who needs a favour. Justin accepts the missing person case, and agrees to look into it in his own time. Elsewhere in the story, Holly wakes in an unfamiliar room with no memory of how she got there. She soon discovers she is being held in an abandoned airfield, and her life is in danger. But Justin isn’t the only one with a mission. Andrew Butcher has been assigned to find Holly and, though he has strong ties to Morgan and Fairchild, he has his own team. Today, before I begin the next part of the story, I wanted to talk to you about plans for the remaining instalments. When I began the ‘a story a day’ challenge, I did it (as I mentioned previously) in an effort to get inside the mind of my characters. But there are bright ideas and not so bright ideas, and this happens to be a little of both. Writing these instalments daily has helped considerably, and I’ve benefited from it. But I didn’t think about the level of commitment it would take to post six hundred words every day, both as a writer, and for you the reader. So, as I’m no longer following the prompts, and the story is drawing to a close, I wondered if you’d add your thoughts to the following question (in the comments or by taking the poll). Should I crack on with the daily output, or would you prefer a weekly instalment for the rest of the tale? Thanks for listening. Beneath the poll, you’ll find the next instalment. Holly rode out the wave of nausea, the growing disorientation. Her captors had learned from their mistake, which meant she had drugs coursing through her system. Enough to keep her docile and compliant, but not enough to completely immobilise her. The bitter anger she felt at the violation cleared her head, and allowed her to focus. The fog clung to the corners of her mind, but she fought it. When they came to take her to the bathroom, she kept her had low, shuffled her feet, and played dumb. But her eyes were alert beneath her fringe, and every trip brought new information. Her captors might have learned their lesson, but they still underestimated her. Holly liked to figure out how things worked, and she paid attention. Back in her box she’d created a blueprint in her mind, more than once wondering how her captors managed to hide in plain sight. Whatever they were planning, whatever was in store, surely someone would question their motives. The inside of the hanger had a temporary feel to it, so it wasn’t a permanent base of operation. That said, her captors had put considerable effort into cleaning up the bathrooms at the back of the building, and seemed obsessed with keeping her clean. Holly hated the woman who oversaw her bathroom breaks. Her hands were cruel and unforgiving, and her voice was terrifying; cold, and hard, and hollow. The one time Holly had looked into the woman’s eyes she’d seen and emptiness that reminded Holly of her mother. A darkness that sucked away all hope. But what really scared her was the sudden tension in the air. Trouble was brewing. She’d heard the sounds outside her window, saw the hurried movements of her captors when they allowed her outside the box. Their schedule had also changed, and her handler had missed a bathroom break. At one point she thought she heard the deep rumbling of an engine, and the slam of heavy doors. What it meant she wasn’t sure, but Holly knew it couldn’t be good. If they were moving out, as she suspected, it meant her time was well and truly running out. Until next time, thanks again. Lots of drama, Mel. I voted for weekly stories–can I change my vote to tomorrow? I really need to find out what is happening. Thanks, Alex 🙂 I’m never sure what to call the Morgan and Fairchild series. I want to call it crime thriller, but there’s romance too, so not sure which box it fits into!